Black Wattle ( Acacia mearnsii ). 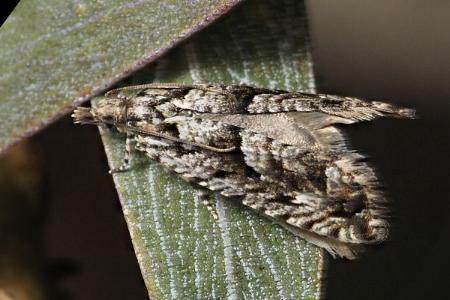 The adult moths have variable cryptically patterned forewings and plain off-white hindwings. The wingspan is about 1 cm. Volume 29, Part 3 (September 2002), pp. 81-95. Series 1, Volume 6, Part 3 (1881), p. 670-671, No. 1.